I have published another app to the Android Market – EQSolve. 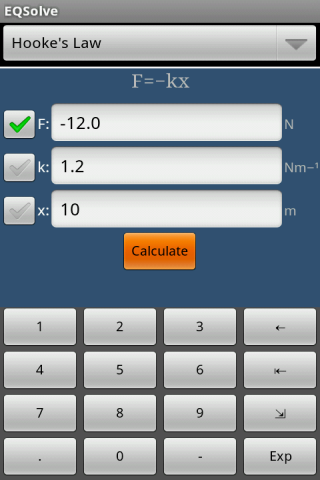 This app is a neat little equation solver that makes it easy to quickly solve a well-known equation for any of the parameters involved. It comes with 15 well known equations to choose from and is completely free to download. Comments and feature suggestions are welcome. Previous Previous post: lux goes live!